Have questions? Don't hesitate, contact us! IC20 Replacement Cell easily exchanges out with your original depleted salt cell. 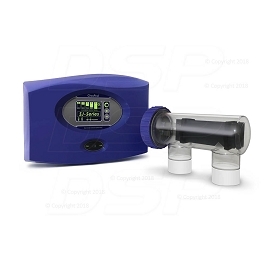 Monitoring chlorine production is easy with the IntelliChlor generator. It’s the only one with all controls and displays built into the cell—and the only one providing so much helpful feedback to you. 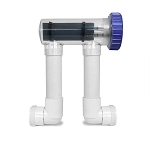 Just select from one of five sanitizing levels to easily manage chlorine addition. I have a IC20, my fuse at power bow gets blowing, what could be the problem. Q: My Pentair ic 20 no longer displays any lights. Does this mean I need to replace the cell? A: You might want to check the fuse on your power center before replacing your cell. Q: My pool is approx 9000 gal. I have an intellichlor IC20 for about 7 yrs now. Although I have all GREEN lights my chlorine remains low. Been running between 80% & 100% and I'm lucky if I get a 2 or slightly above. I have cleaned it - there was some build up but it was clean in less than a minute. I may have used more Muriatic Acid that noted on different videos. (some say 1 to 1 while others say 4-1). I used to always run itat 60% and my chlorine level stayed a 5. Stabilizer and ph are fine. Does this mean my cell is on the way out.????? A: Based on my experience, Pentair IntelliChlor cells last most people 2-4 years, but it depends on how its used. If its that old, I would not expect to have much more useful lifespan left. However, one or more service lights will usually illuminate at that point, so it might be worthwhile to also do some troubleshooting on the controls first. Q: just ordered cell, hopefully it comes with cord? A: Yes, the cell cord is built in to this item. Q: i am needing to replace a faulty IC15, Does this unit work with the same power source as for the IC15? Q: is the cl20 made in the USA? A: The packaging does not state that it is made in the USA like it does on some other items. The label does say that it is at least assembled in the USA. 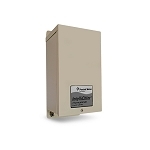 The Pentair IntelliChlor controls are built-in to the electrolytic cell. It has LED indicator lights that display low or high measured salt levels, five sanitizer output power levels, and whether the cell requires checking or service. The controls also have a built-in mechanical flow switch that ensure sufficient water flow for chlorine generation. Under low water temperature conditions, the IntelliChlor control's automatic shut-off feature protects the unit and prolongs cell life. 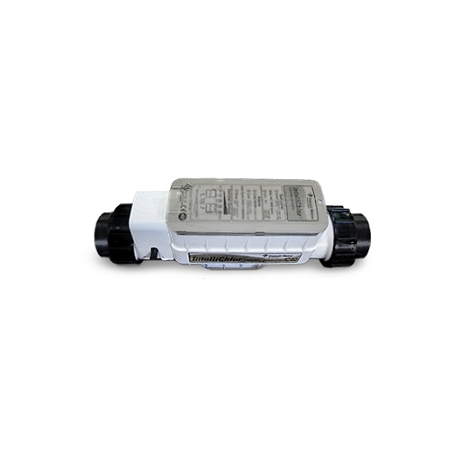 The Pentair IntelliChlor electrolytic cell is an inline opaque-plastic housing which contains built-in titanium electrode plates, built-in electronic controls, built-in flow switch, and built-in power supply cord. The IntelliChlor salt cell has threaded connections on the inlet and outlet, which allows quick access for service or winter removal (if applicable). The threaded connections attach to 2" unions which are glued to the existing return-line PVC plumbing. 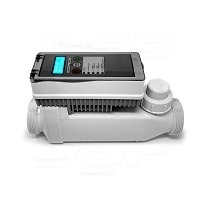 Manufacturer 60-Day / 2 Year Limited Warranty if you are eligible for Pentair Extended Warranty. Most manufacturer chlorine generator warranties are pro-rated. All warranties offered are provided by the relative manufacturer and are limited to the terms and proration they provide. See manufacturer's documentation for a full description of warranty terms and conditions. *Important System Sizing & Warranty Information: Manufacturer's gallon pool size ratings are maximum limits with equipment running at full capacity under ideal conditions & pool use. Oversizing is recommended. See manufacturer documentation or product manual for full description of warranty limits, pro-ration, & terms. Most salt chlorinator warranties are pro-rated. Copyright Discount Salt Pool. All Rights Reserved.